Home >Blog > Cheers to you this holiday season! The Holidays are fast approaching, so at American/Perrygraf we created our Christmas Card to send to our favorite customers! We decided to go with a functional and fun polyhedron pop-up with a header card. The poly has a whimsical flowing design that can be set out all year and functions as a pen/pencil holder. 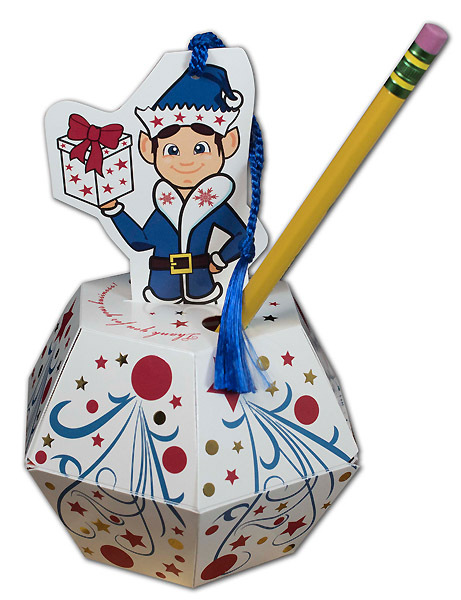 The header is created in the form of an Elf can be removed and used as a Christmas ornament. The back of the Elf features the words Merry Christmas in various languages…including Klingon! For added flair, the card is printed in four color process plus a metallic ink. 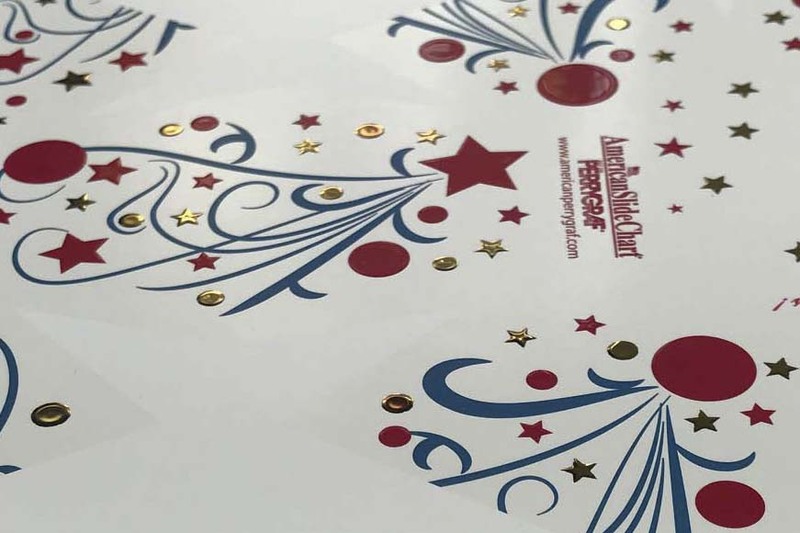 For additional POP, we added a 3D effect to the red and gold foil for the stars. 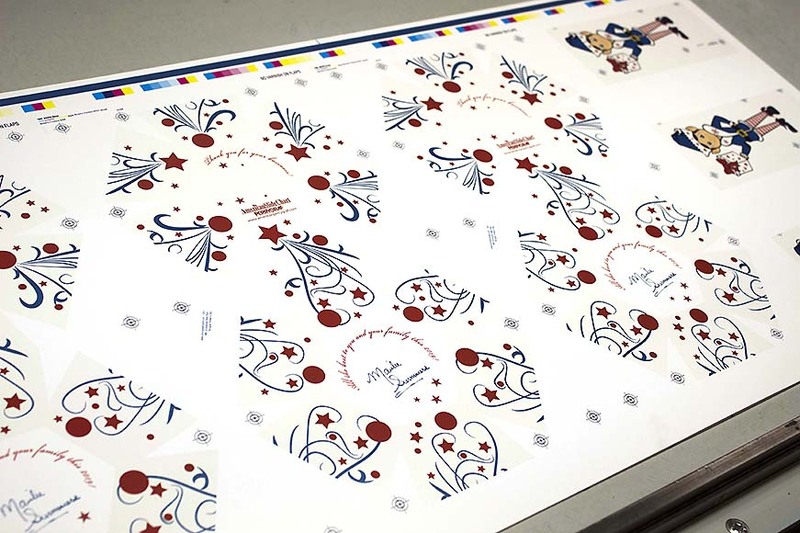 The four color and spot color were printed in house. The 3D effect was printed at Dreamworks Graphic Communications. The Skodix inkjet machine at Dreamworks creates 3D enhancements and textures that are put on a digital or offset printed sheet. The 3D is a raised and sculpted varnish technique, which allows you to apply spot raised high gloss UV coatings to printed pieces. If enough is applied, it can give an embossed effect without the impression on the back side or an embossing die. The spot foil is a completely new way to put foil on paper. It is no longer a "foil stamp" process and does not require expensive dies. Every type of foil or color can be used to create a raised or sculpted effect. If you receive our Christmas card be sure to look inside the punches to view the interior of the poly. 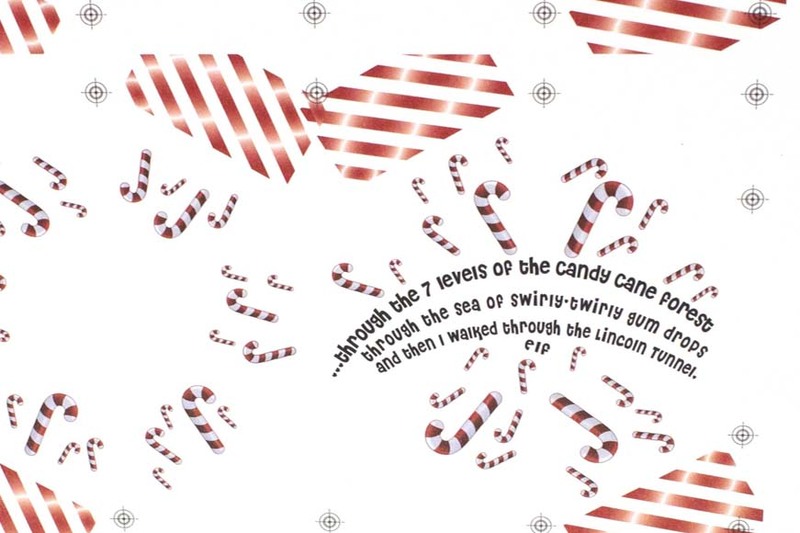 Inside is a line from the hit movie ELF and swirling candy cane graphics. Do you have a great idea for a Christmas or Holiday card? Contact us and see what we can create for you!